Singapore is a tropical city with hot and humid weather. Laminate flooring is one of the most commonly used types of flooring in Singapore as it is readily available in the city. It is especially desired because of its numerous designs and patterns. Below are some explained reasons why you should go for Laminated Flooring. • Easy to install- A homeowner can personally install these floors with the provided glue or clicking the pangs and tongues together. Professionals can also be called in to help in the installation process which takes very little time to finish. • Realistic- Laminate flooring is developed and designed with to of the art technologies to give you your money’s worth. Laminate flooring gives you realistic-looking low maintenance floors with various designs to choose from. The resemblance of laminate flooring and hardwood flooring is undisputable. • Durable – This flooring is designed with ease of maintenance and durability in mind. You never have to worry about your floor dulling with each day scratches or from everyday dirt and dust. This is because of the infusion of aluminum crystals at the top of the layer of the laminate flooring which significantly increases resistance to abrasion. • Stain and fading resistant- In the event that stains such as paint are spilled onto the floor, acetone-based removers can be to leave your floors clean and sparkly. 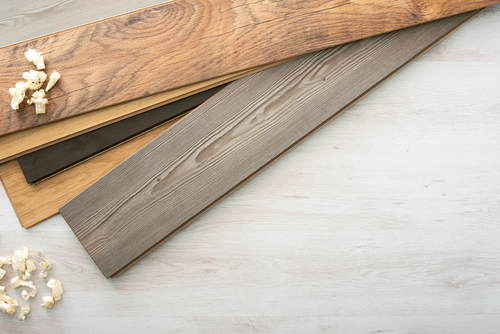 Laminate flooring is easy to install especially for a DIY homeowners but if you feel you can’t really do it, you can always call a certified professional to help you out. This flooring is designed with tongues and planks that can be clicked into another or a glue backing to ease the installation process. • Clear the installation area from all furniture and dirt. • The installed floors float over the sub-floor on top of a film underlayment to help in reducing sound and moisture might that accumulate. • Underlays are left for moisture control, expansion and contraction of the floor. 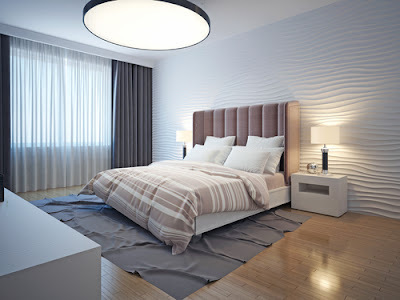 • As the homeowner, have an idea of how you want to orient your flooring as to ensure the flooring as well as the measurements to ensure the floorings fit well. • Improper installation will result to peaking whereby a V shape projecting from the floor is formed by adjacent boards. Gaps are formed and are easily visible which is quite unsightly so if you cannot do the job, have a professional help you out. Laminate floorings will give your home an expensive neat look that will last for years without the need of replacement. Cleaning and maintain theses floors is quiet easy for everyday home cleaners. • Caring for these floorings starts during installation where planks have to be tapped together using appropriate tools to seal off the gaps so as to prevent dirt from filling into any openings that may be left. • Use a vacuum cleaner with suction only or a dust mop or even a soft bristle broom to remove dirt and dust when cleaning. • Stain such as markers can be removed with acetone-bases nail polish and substances such as wax or gum can be removed gently scraping with a plastic scraper to avoid scratching the surface. • Avoid spilling water or using a wet mop on the floors as these causes the floors to swell and warp. • You can also use high quality floor mats or adhesive felt pads on the feet of heavy furniture to prevent scratching. • Arrange your furniture and rugs often to aid your floor in aging evenly. There are several advantages and disadvantages that come wit laminate floorings that we have to look at so that you can have all the knowledge you need if you are thinking of having these floors installed in your home. • Affordable- if you are looking for a floor that will benefit your wallet and till give your homes an elegant look to it, laminate floorings are the way to go. It will give you a floor that is similar to that of hardwood but cheaper. You will spend years before you replace your floor which saves you money on the long run. • Versatility- the printing process of laminate flooring can simulate hardwood which is available in many designs and patterns. They can also reproduce the appearance of natural stone and ceramic flooring materials. • Durable- with proper maintenance and cleaning laminate floorings can serve you for about 10 to 15 years due to the melanin plastic wear layer used for the top surface of these floors. • Easy to maintain- laminate flooring is finished with a sleek layer of that is easy to clean and remove stains to make it clean the entire floor tee. • Requires less skills to install- a homeowner easily call install these floorings with the help of the directions given in the user manual. Professionals can also help in the installation to ensure that the planks are correctly set in place. • A sub-floor is required during installation to reduce the foot sound in a room. This is because the floor tends to carry vibrations through floors. Laminate floorings are a great choice for people living in the tropical city of Singapore. This is for you if you want to have a floor that looks like hard wood and one that is friendly to your pocket. 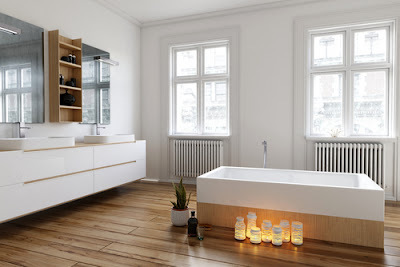 Get yourself these amazing floors to make your house feel and look like a home with a unique flooring design that will make your visitors want to move in!